Product #45624 | SKU PT88211 | 0.0 (no ratings yet) Thanks for your rating! 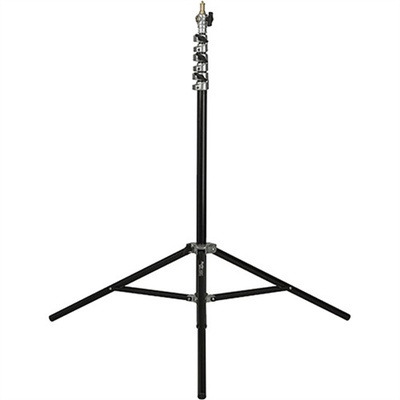 Constructed from aluminium, the three-section Saldo 280 Air-Cushioned Light Stand from Phottix extends to 110", folds down to 32.68", and will support gear weighing up to 6.6 lb. The 4.2 lb stand has air-cushioned sections that gently lower your equipment to avert impact damage when making height adjustments. Collapsed folded length is 32.68"